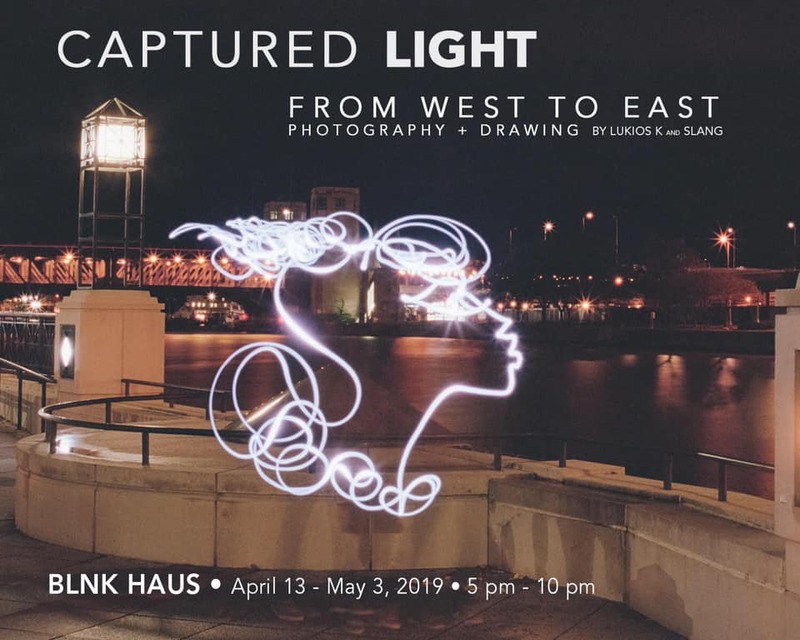 Captured Light was started in the fall of 2017 with Slang and Lukios K exploring the process of light painting within an urban landscape. Applying the simple equipment of a 35mm camera, LED flashlight, and tripod the artists go on missions visiting locations with a small group of images produced at each spot. The long exposure photographs gather contours and color from the movement of light over multiple seconds of time. The visual artist creates the light paintings in real time with photographer and rarely repeat images during each session. Layers of reactions from how the visual artists connects to the location and photography responds to the drawing fuse to bring the final image.